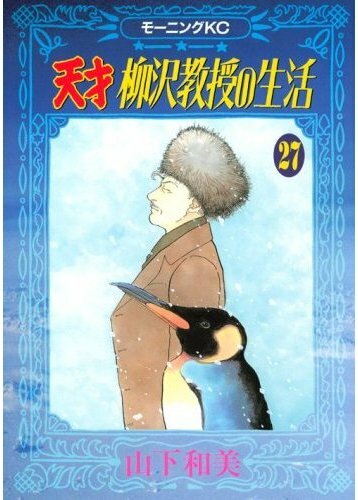 Sometimes I want a book to be licensed and translated when I’ve only heard the title, and that’s certainly the case with The Life of the Genius Professor Yanagizawa, written and illustrated by Kazumi Yamashita. I just heard of this book via Shaenon Garrity’s smart look at the style and influence of Rumiko Takahashi over at The Comics Journal. Garrity added that the series is “one of the few manga with an elderly protagonist,” and since I feel like an elderly protagonist myself, I have to throw my sympathy in with Professor Yanagizawa. It is serialized in Kodansha’s Morning magazine, which we all know offers a rich vein of license request ore. 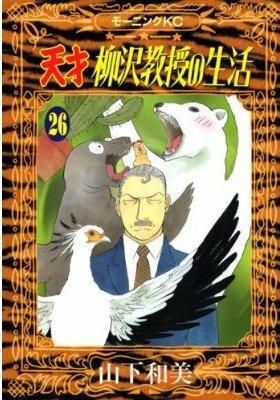 The Life of the Genius Professor Yanagizawa won the 2003 Kodansha Manga Award. It’s 28 volumes long, and it’s about a senior citizen, and these factors probably conspire to make it incredibly unprofitable for any publisher brave enough to take it under its wing. The picture doesn’t get any brighter when one discerns that it’s a slice-of-life look at a scholar of free-market economics. Because what’s sexier, I ask you, than 28 volumes about an old guy than 28 volumes about an old guy teaches economics? 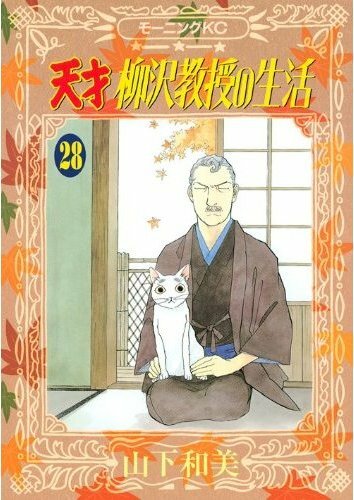 There isn’t a great deal of information about the series available in English, but I have been able to gather that Yamashita focuses on the minutiae of Yanigazawa’s well-ordered life and dedicates the manga to precise observations of the people around him. It sounds like one of those soothing, slice-of-life serials that don’t go anywhere quickly, and that makes it all the more theoretically appealing to me. There are plenty of comics from all over that are all about the momentum, and we can all use a change of pace, right? I’ve also seen Yamashita praised for her observational abilities and her skill at illuminating a variety of characters. Like some of her Morning colleagues, she’s worked on shôjo titles, hers largely for Shueisha’s Margaret. 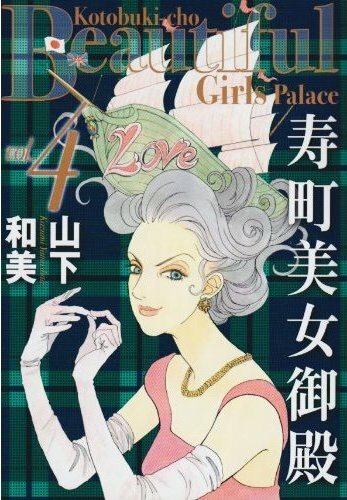 That magazine is the home of her other current (or most recent) series, Beautiful Girls Palace, which seems to be about a very old, very beautiful, very formidable woman. (I have to say, that is a fabulous example of fashion-mag inspired comic cover.) She’s also done several series for the Shueisha’s defunct josei magazine Young You. But let’s turn our attention back to the Professor. Given the length and content of the series, it does seem unlikely that any publisher would commit to it in its entirety given current market and economic conditions. (And I’m sure the Professor would appreciate those concerns!) But what about a “best of” sampler in the style of Viz’s A La Carte editions of Oishinbo? It sounds like The Life of the Genius Professor Yanagizawa has much less narrative momentum than Oishinbo, and I thought that approach worked well as an introductory gambit. And to be totally honest, sometimes it’s just fun to note what’s out there, even if I don’t have any realistic expectations of seeing it published in English. This entry was posted on Friday, February 5th, 2010 at 10:07 am and is filed under License requests, Linkblogging. You can follow any responses to this entry through the RSS 2.0 feed. Both comments and pings are currently closed. Oh! I really love this series and I always look forward to this when it comes out in Morning! She has another series which I absolutely adore and it comes out in Morning 2 which is Fushigi na Shounen. It’s another slice of life tale, this time of a boy who travels through time and meets people along the way. The stories there are lovely and the her art has this sense of soft nostalgia in it! I wish she was more popular and hopefully this gets out in English soon. She’s an interesting story teller!